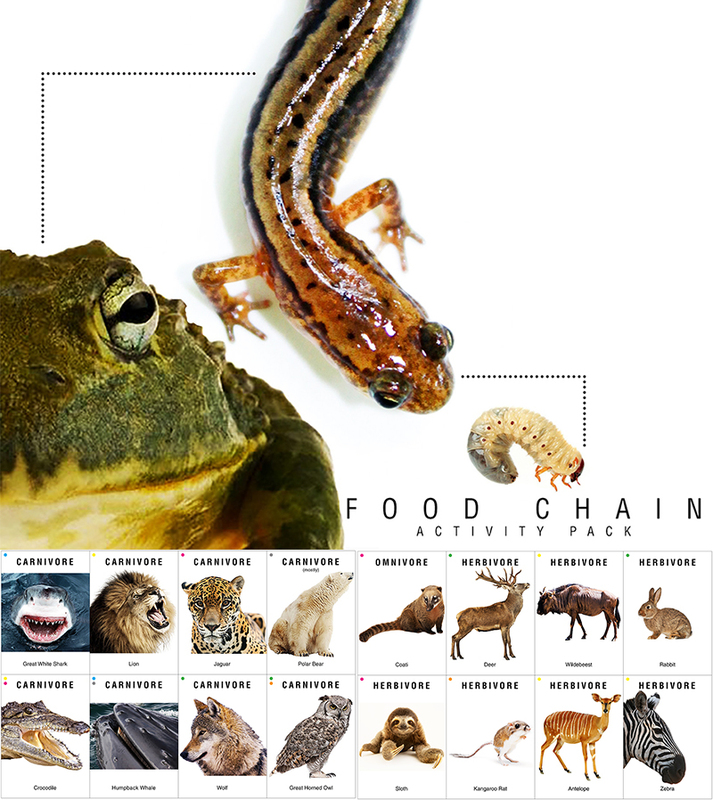 Food Chain Card Game (72 cards) Cards include animals (carnivores, omnivores and herbivores) and plants from the ocean, desert, rainforest, tundra and forest. There are 2 sets of cards: easy and advanced level. The easy level is color coded so kids know what habitat each item belongs to (making building a food chain easier). The advanced cards are not color coded. Kids have to figure out what eats what based on their knowledge of what animals and plants belong to each biome. Game is played like Go Fish. This activity is inspired by Eecko World's "We're All In This Together." Give each child a construction paper headband with a different plant or animal that is part of a food chain (include organisms from different habitats). Take students to a large open area outside. Kids have to look for a plant or animal that their organism consumes. They tag what they eat! If a child is tagged, they must freeze (stand still)! Who is left at the end of the game?! Afterwards, have kids try to find organisms that belong to their habitat (creating small groups). Kids must problem solve and try to figure out who belongs in their "group." Also, where would you find the organisms in their group? What habitat do they live in? !